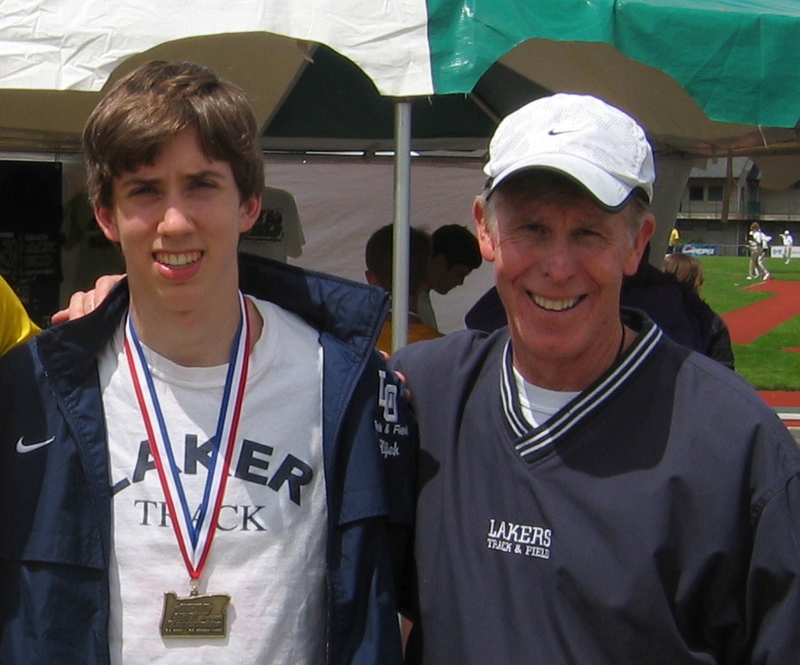 Developed by former University of Oregon All American and reknown coach Bob Williams, the "Bob Williams Pace Calculator" is one of the most tools in any coach's tool kit. The double-sided slide rule allows the user to quickly determine the specific pace for either track or road events from 100 meters through the marathon. "I've been using this calculator since the early 1980s and don't plan a race or workout pace without it," said GTC-ELITE coach Mike Caldwell. "Although there are other similar devices or apps now available, this tool is easy to use and always accurate. I've used it with high school, collegiate, post-collegiate/professional athletes and believe that it has been instrumental in our coaching successes. 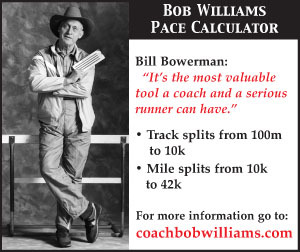 Along with my stopwatch, the Bob Williams Pace Calculator is always in my coaching backpack." Coach Williams and Oregon state champion Elijah Greer.